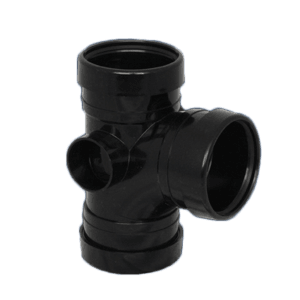 Order Push Fit 110mm Soil Pipe & Fittings Online at Great Prices! We keep Push Fit Soil systems in both black and grey in stock, we can also source white so please let me know if you need it in white please contact us. 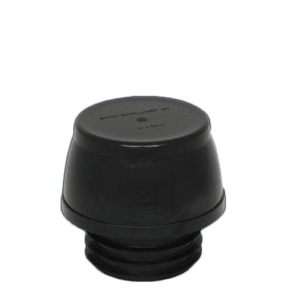 Our 110mm Push Fit Soil comes Kitemarked and is fully tested and approved for use in the UK. 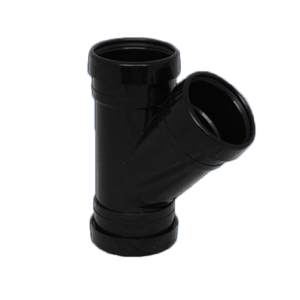 Push Fit (Ring Seal) Soil Pipe is the most common external above ground drain system in domestic applications, combining ease of installation with a tried and tested easy to fit ring seal system. 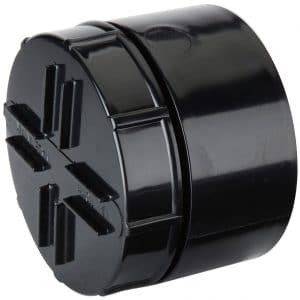 We keep everything from single socket bends, junctions, couplers or connectors, boss adaptors and fixings to connect to the bathroom solvent weld waste system. 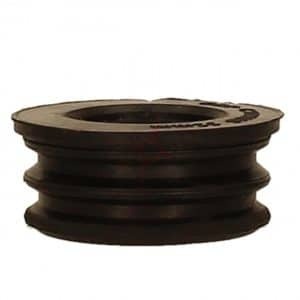 We stock the common colours of black soil and grey soil, however we are also able to source white and also a range of colours of cast iron effect fixings and systems. 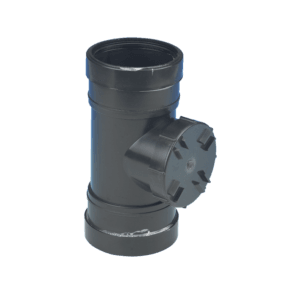 However the cast iron effect or steel systems will require a lead time so please call us for more details if a cast iron effect soil system is what you're after. 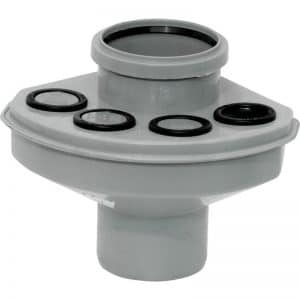 We also keep pan connectors (please use the menu navigation to find the pan connector category) for connection to the bathroom toilet fixings. 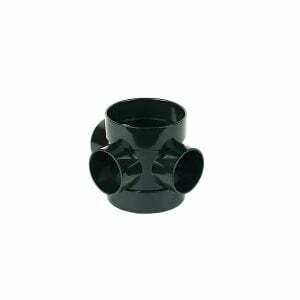 Looking for sealants and accessories? We have these also. 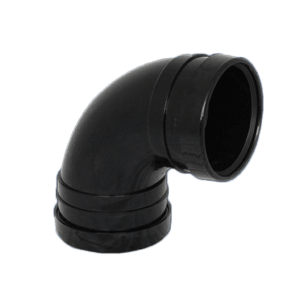 The external drain system is fully compatible with our underground drainage system. 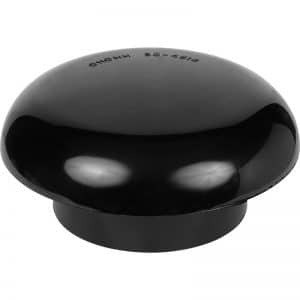 It is available in grey, white and black soil systems. Black soil runs from the PVC drain system, up the external side to the roof level of the property. 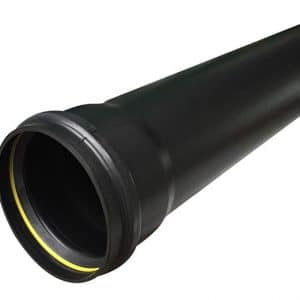 It's the tube that carries waste down to the sewer system. The bathroom toilets, fixings and the soil pipe by way of a connector will join together, and waste from this property's sinks, bathrooms, showers and bathroom appliances will be connected in the waste line to the external soil pipe via a boss connection to the 32mm, 40mm and 50mm appliance PVC waste lines. 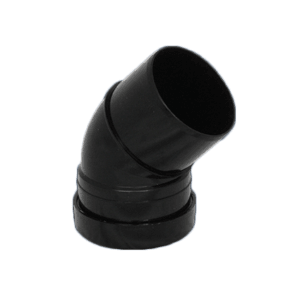 Soil pipe is sometimes called a vent stack, because at roof level a valve will be installed to permit external air flow into the system, preventing a vacuum in the drain and releasing gasses and some other scents. 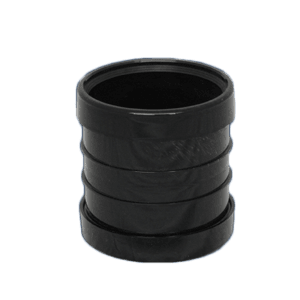 Traditionally, soil stacks were made from cast iron, they are most commonly manufactured from PVC (plastic). 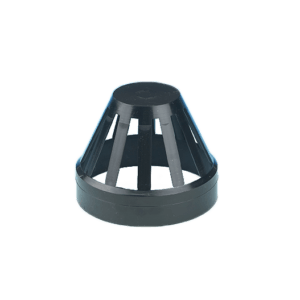 Soil stacks permit the removal of waste or foul liquid from bathrooms, baths, showers, baths and sinks, while also allowing odours to be expelled over the construction via a stack inlet, at a level where the odour from the drain released won't cause a nuisance. 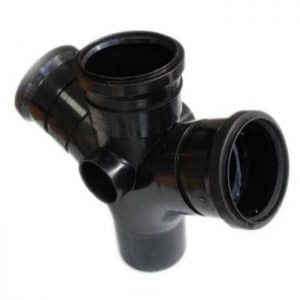 The external PVC drain vents also allow air to the inner drainage system in order to ease the process of aerobic sewer digestion, preventing a siphoning effect from happening, and allowing free flow of liquid. Approved document H: Requires that for safety the foot of a soil stack should have as large a radius as possible, as opposed to less than 200mm in the centre line. Offsets must be avoided in the section of this stack. The stack should finish at least 900mm over any opening within 3m and should be completed with a wire cage or other perforated cover for safety. Black soil systems must keep sufficient downward slope in their length to keep fluids and fluids flowing freely towards the drain. If a downward incline is not feasible, a collection pit using a 'sewer ejector' pump could be installed. 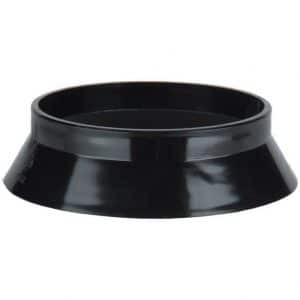 It's frequently connected to the exterior of a structure (although it might be fitted internally) and connects the subterranean drainage system to a point just above the degree of the roof gutter. Well, this depends on what you prefer when it comes to installing the product. 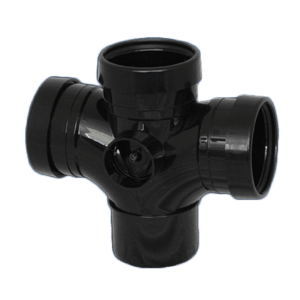 The solvent weld system is usually the cheaper of the two, but it is also more difficult to install and requires the use of solvent adhesives and cements in order to join the fitting, such as a single socket bend for example. 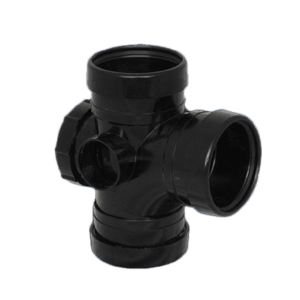 The ring seal system, simply requires some lubrication applied around the seal and then the fittings simply push together, for example the spigot end of one bend into the socket bend. Once installed, the solvent weld system will provide the stronger fit, because the system is actually welded / bonded together. 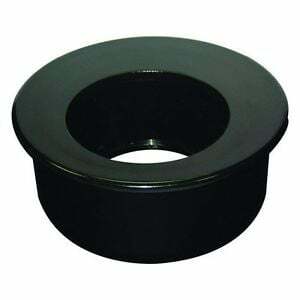 The ring seal system always has potential for issues with the seals themselves. 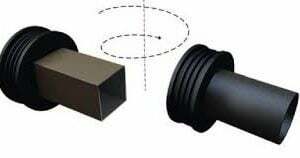 Please note screws will need to be used to attach the length to the external wall using the wall fixing. 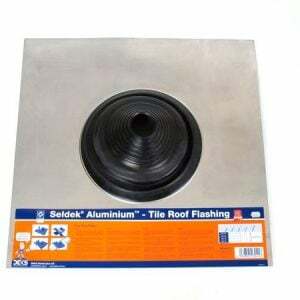 Neither system requires the use of additional sealants unless when used with external cladding. 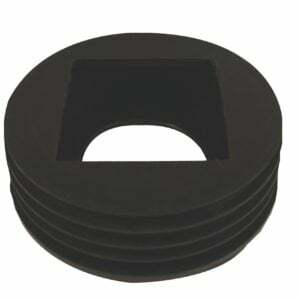 However the push fit system is by far the most commonly purchased of the two here at EasyMerchant. Why Chose EasyMerchant for Soil Products? Well, I want to think it is because we are just fantastic! But actually, the key comes down to providing your client with expert knowledge gained through years of experience to permit them to perform the job or acquire the order, then, with the order at the bag we'll supply our customer with the right things when they want them and where they want them. We'll always try to quality check and search for any damages or manufacturing flaws before we package any purchase, and we constantly select products that are up to BS EN standards and products which are fully compatible with one another. We use our buying power and industry connections to purchase products in huge bulk quantities to be able to bring down the cost, and we keep them in our warehousing keeping them tidy. 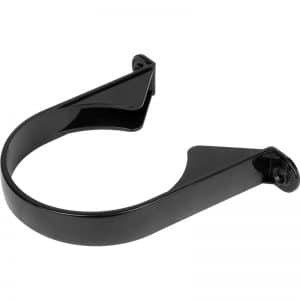 As far as this range goes, we stock 4 inch, however we can also source any other size, including 6 inch (160mm) which is commonly used for industrial applications. We also keep a full range of solvent weld products should that be your preferred jointing method. 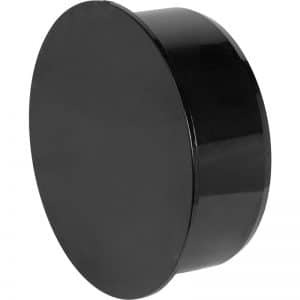 The most common colour of choice is black soil, however we also stock grey and can source white. 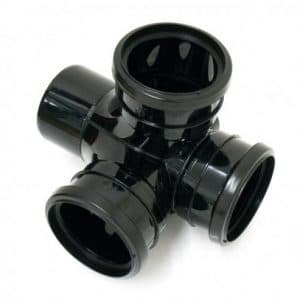 We then send these products to your property or building site in excellent condition ready to perform the job available. Then just in case this is not enough, we see the after sales care as equally as important as the pre-sales care because as everyone knows, things can go wrong from time to time - we are only human, but when they do we think it's all about putting it right in as effective a way as possible. We at Easymerchant believe in something called the "Service Triangle". For the ones that have not heard of this before, it is the connection between cost of the products and the service the client receives. We believe you must achieve satisfaction in all three areas win their repeat business and in order to fully please a customer. Unfortunately, this appears to have been lost on most of the other retailers out there and the cyber area appears full of cheap products or staff, and poor delivery services. Here at EasyMerchant Limited we use our years of business experience to streamline the process. We use our long standing connections to create an network geared solely to your satisfaction. We use our purchasing power to purchase supplies in bulk and pass those savings on to you, and we pick and pack your order properly, before sending it out for delivery on a specialist vehicle whenever possible. Please know that when you view supplies on EM that they've been selected from a buyers view point so that the best products have been chosen, not just the cheapest. 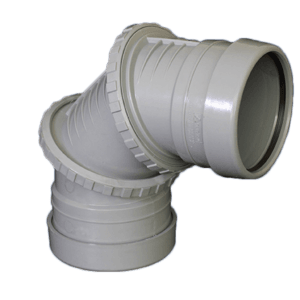 We work with leading manufacturers such as Polypipe, Kalsi Plastics, FloPlast, Osma and more. Feel free to create an account when placing your order. This will allow you to track orders, receive discounts and your account will give you the latest news, tips and more. For white soil please call us or use our chat feature on our site. We do not stock white, however we can bring it in an dispatch it to your home or building site usually within 48 hours so if you're in need of white then just let us know. If you're looking for detailed fitting instructions then please let us know.